12 cm chunky heel. Suede synthetic leather. 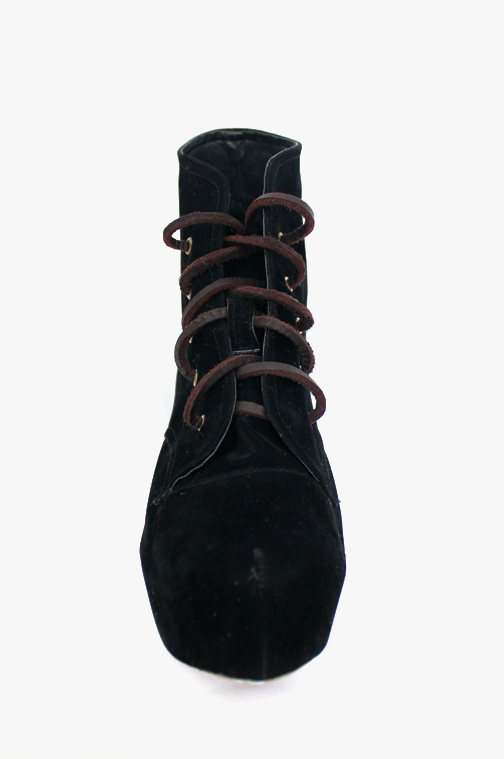 Leather shoe lace.